Why are you confining you efforts to improve air quality only to Delhi and National Capital Region? There are more polluted cities in the country like Raipur and Patna, the Supreme Court told the Environment Ministry. “Look into the issue on a nationwide basis”, a bench of justices Madan B Lokur and Deepak Gupta said asking about the plan for the entire country. “Why should special treatment be given to Delhi ? What do you propose to do for rest of the country ? It is not a problem confined only to Delhi and the National Capital Region but a problem concerning the entire country”, the bench said. Dealing with the issue of stubble burning, the bench said a “cohesive action was needed to deal with it. The court was hearing a public interest litigation filed in 1985 by environmentalist M C Mehta who had raised the issue of air pollution in the Delhi-NCR. 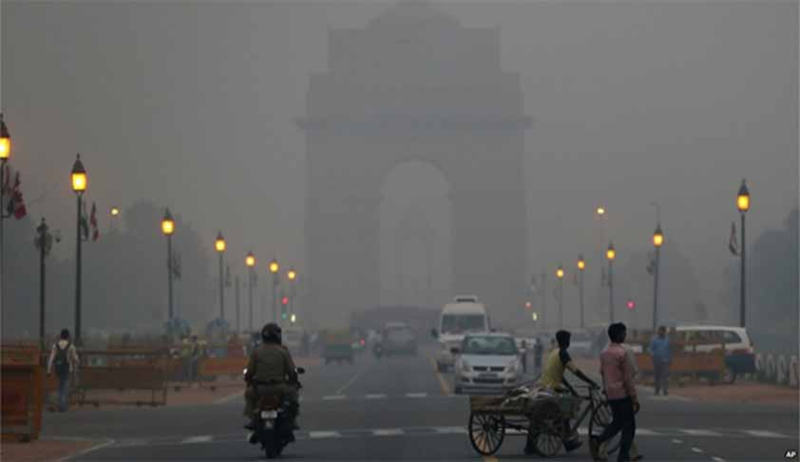 The government meanwhile told the court that a high level task force for management of air pollution in Delhi and NCR, comprising experts and senior officials of various departments, was constituted by the Cabinet Secretariat. During the hearing the ministry also referred to a comprehensive action plan for air pollution control, which is aimed at meeting the ambient air quality in Delhi and NCR including states of Haryana, Rajasthan and Uttar Pradesh. The ASG told the bench that to ensure compliance with the orders passed by the top court and effective implementation of actions prescribed in the action plan, the Central Pollution Control Board (CPCB) has been requested to issue appropriate direction under the Environment Protection Act, 1986. The bench will take up the issue again on February 5.